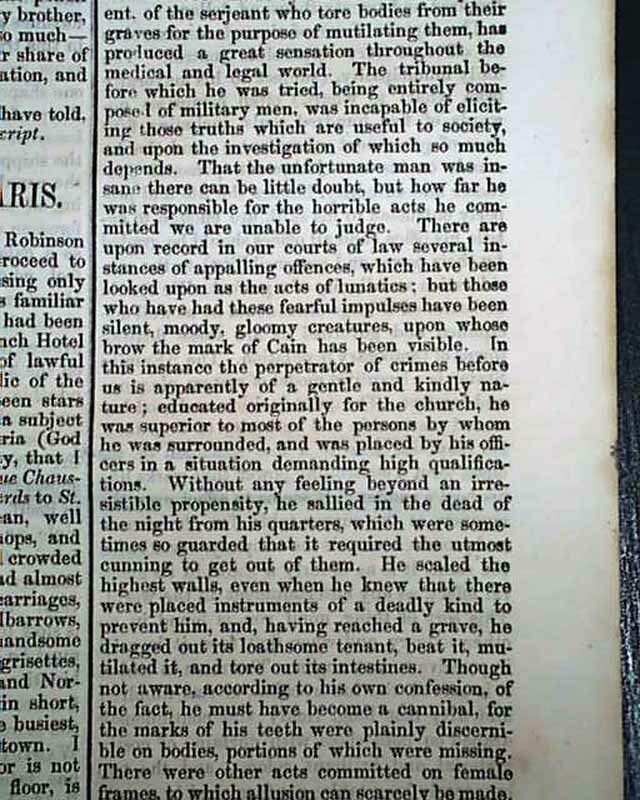 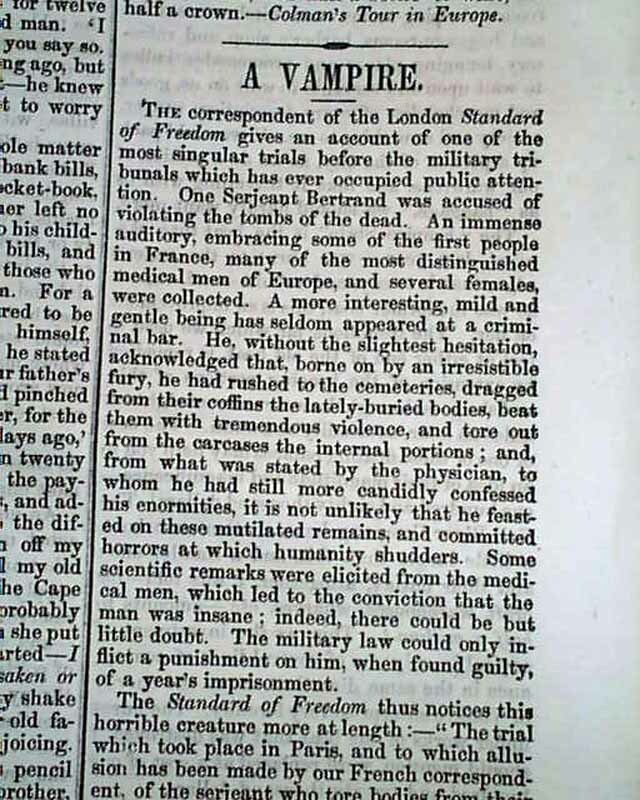 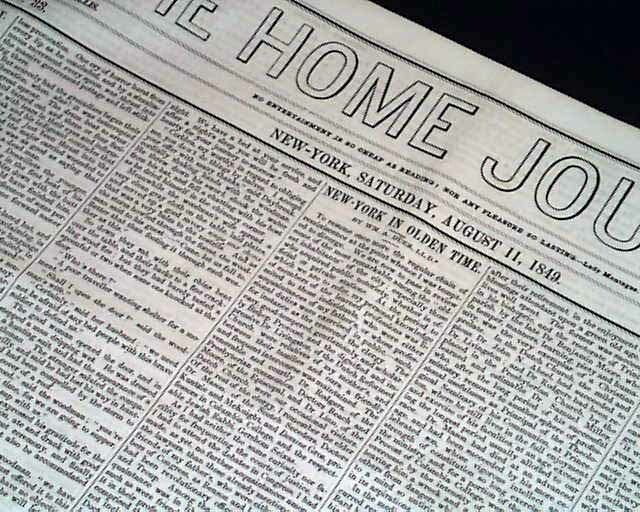 THE HOME JOURNAL, New York, Aug. 11, 1849 The front page is mostly taken up with: "A Vampire" concerning a trial which notes: "...acknowledged that borne on by an irresistible fury he had rushed to the cemeteries, dragged from their coffins the lately-buried bodies, beat them with tremendous violence, & tore out from the carcases the internal portions...confessed his enormities it is not unlikely that he feasted on these mutilated remains & committed horrors at which humanity shudders..." & more. 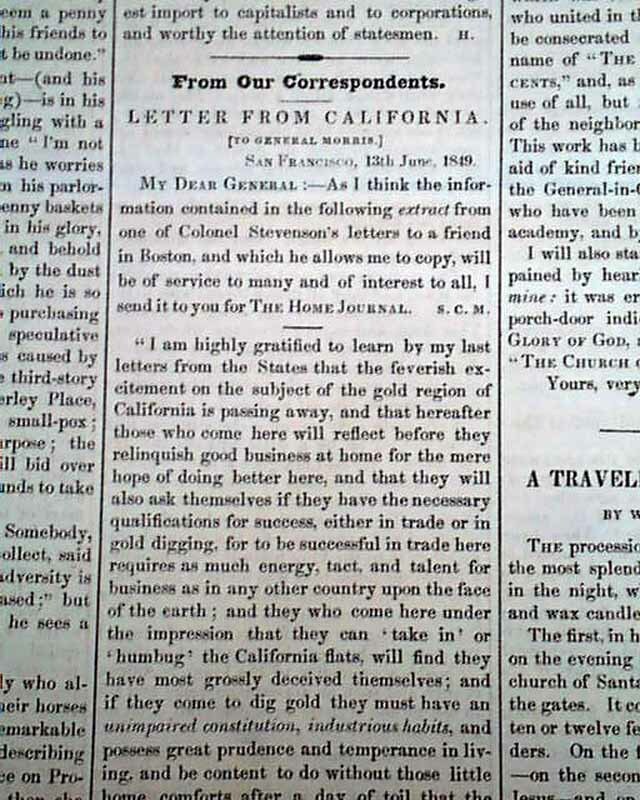 Page 2 has: "Letter From California" with a San Francisco dateline which concerns the Gold Rush, & takes nearly a column. 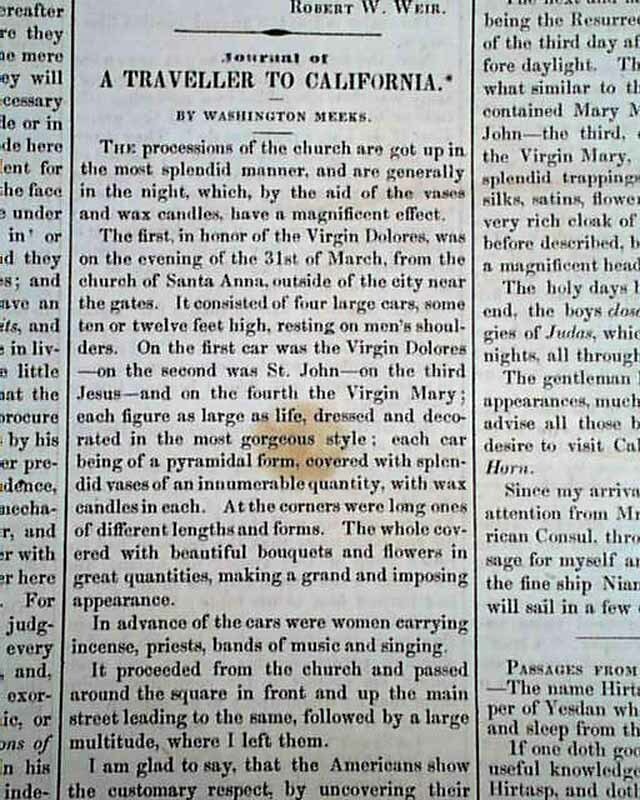 Also: "Journal of A Traveler To California". 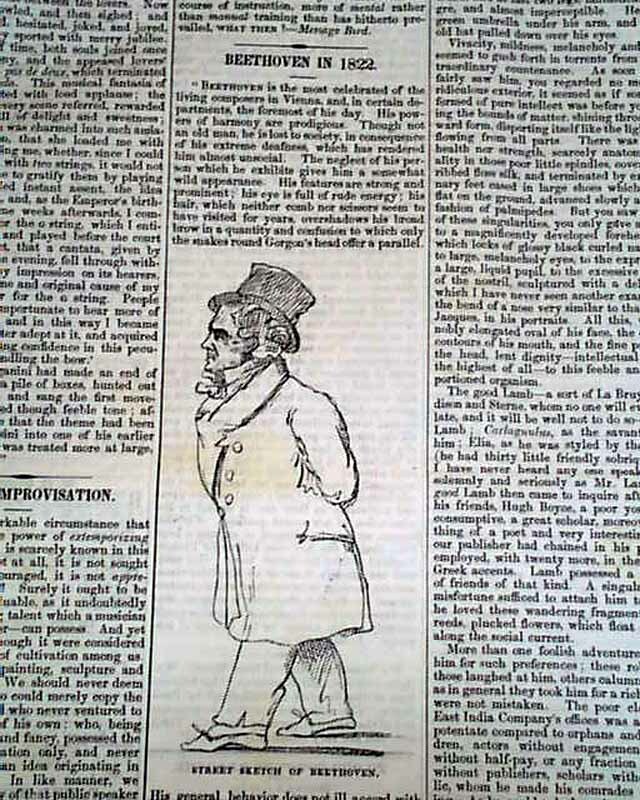 The back page has: "Beethoven In 1822" and includes a rare illustration of him (see photos). 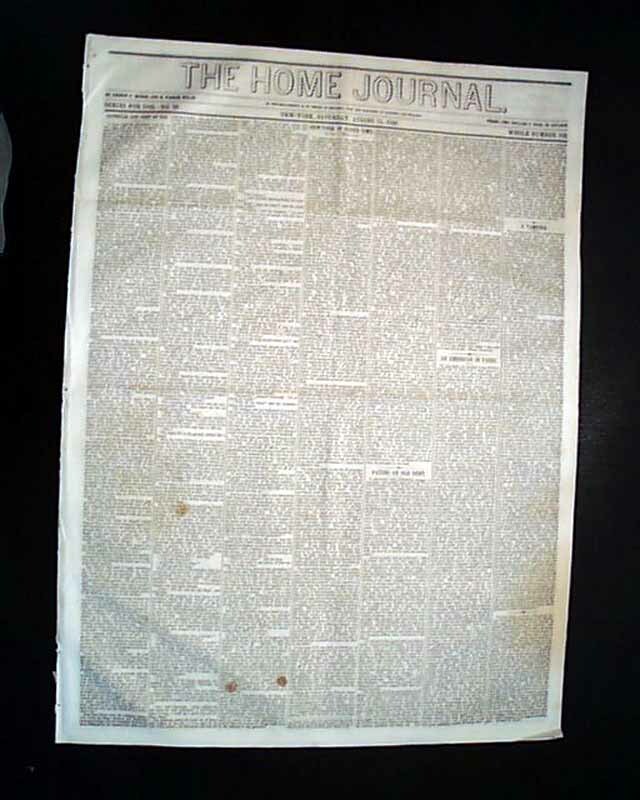 This is complete in four pages and is in very good condition.